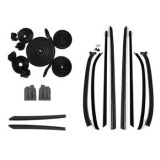 This is a correct Chevrolet rubber stopper kit containing door bumpers, trunk lid bumpers, hood bumpers, and fuel door bumpers. 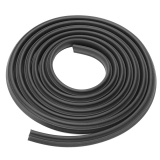 I used this kit to replace missing and dried out rubber pieces. 4+ Years later, still work great.